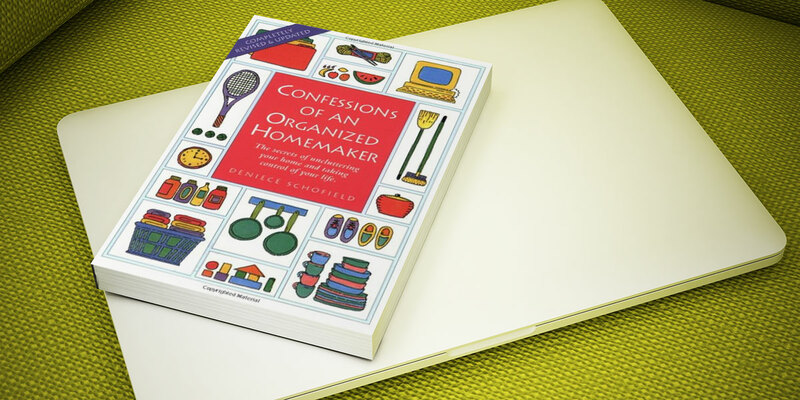 Home » Our Favourite Declutter Book? We Have A Few! Our Favourite Declutter Book? We Have A Few! As storage experts, you might expect all of our homes and offices are perfectly organised and free of clutter. But we are all human so that’s not always the case. We cling on to touristy nic-nacs because they remind us of good times. We cover our work desks with documents just in case we need them. And our wardrobes are packed with ill-fitting clothes we hope to slink into one day. However, we’re determined to raise our standards and declutter our lives. Over the past few weeks, we’ve been doing some intense research to give us that step up! Here’s a roundup of some of the best declutter books we’ve come across. Once you get stuck into these, adapting to minimalist living and maintaining a beautiful, tidy home will be a breeze! Way back in 2008, Becker was having a good old clean up of his garage, painstakingly organising hundreds of items. It was exhausting. This comment flicked a switch in Becker’s brain. Did he really need this much stuff? Wasn’t stuff supposed to add something to your life? He realised he was wasting precious hours tidying up when he could be spending time with his family. The More of Less investigates the unsettling idea that consumption always leaves us with an unquenchable thirst for more. The more you buy, the less it means and the more you need to buy to achieve the same thrills. Rather than providing satisfaction, buying more leaves us feeling even more unfulfilled, always waiting for the next big thing. Becker wants us to recognise that minimalism represents far more than a clean home. It’s a way of living that helps you become a more conscious consumer. By reading this book, you can design your own decluttering journey, free of anxiety and stress! Becker is also the founder and editor of Becoming Minimalist. So if you’ve finished reading this book and you’re hungry for more, check out his blog for more decluttering insights! 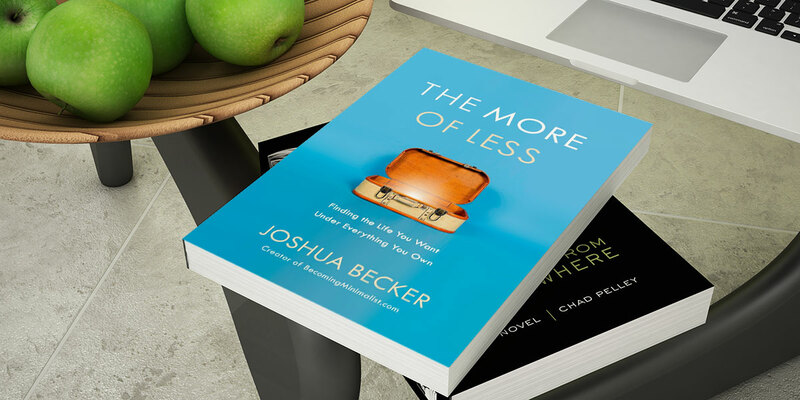 The More of Less is available on Amazon for £10.28 for a hardcover copy or £10.99 for the Kindle Edition. New Minimalism encourages you to explore why you’re attached to your clutter and then use that knowledge to let go of things that don’t add anything to your life. For example, my last move was incredibly stressful. I had boxes filled with old school jotters and crafts I made at summer camps. They took so much space in the moving van and in my new flat. I felt guilt when I thought about throwing them away. But why? They were just trinkets from my youth. Well, New Minimalism explains why. 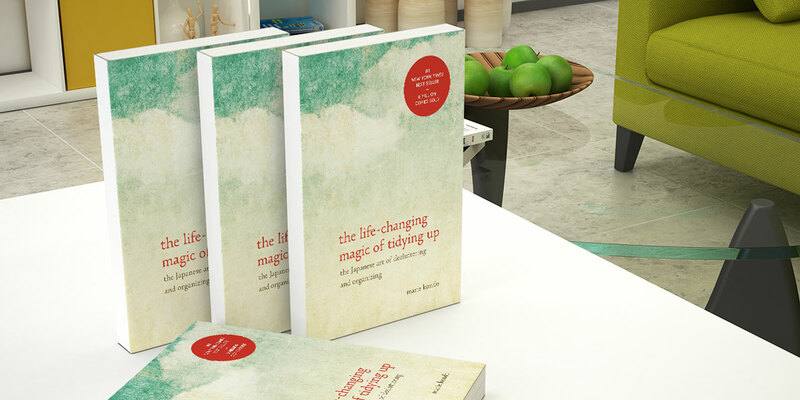 This is a relatively new book and it combines the power of psychology and interior design to help readers banish clutter from their lives. Fortin, a psychology graduate from Dartmouth College, and Quilici, educated in organisational behaviour and interior and sustainable design, combine their radically different perspectives to both help you to understand the root cause of your cluttered home and how to combat the issue in the long-term. 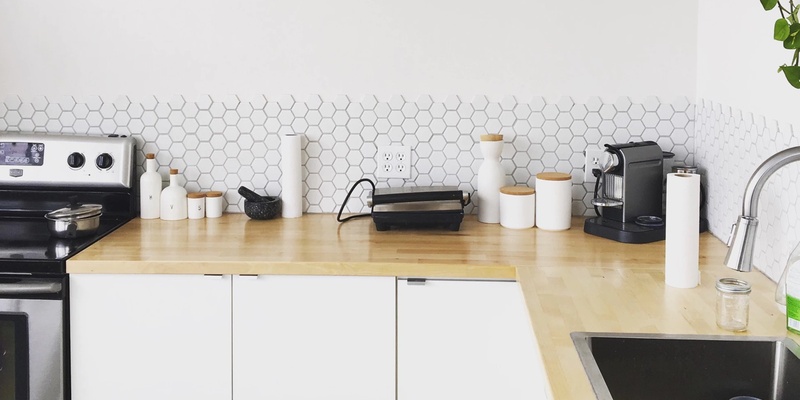 On Fortin and Quilici’s website, New Minimalism, they have a blog full of insight into decluttering and design. 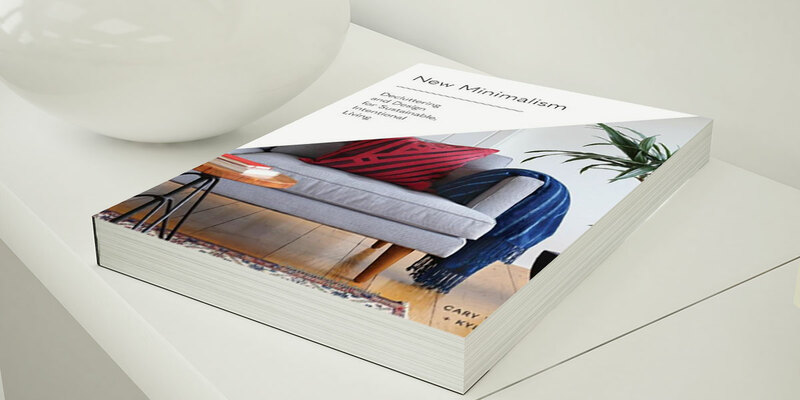 New Minimalism is available on Amazon for £15.22 for hardcover and £10.44 for the Kindle Edition. A perfectly organised, spotless home in just 10 minutes a day!? You’re joking! Well, that’s exactly what Becky Rapinchuk suggests in her book Simply Clean. Simply Clean is essentially a master class in breaking down cleaning tasks into manageable, scheduled chunks. So, with just 10 minutes of scrubbing a day, your home will feel breezy and inviting. It’s a great cleaning structure for busy parents, students and professionals who simply don’t have a tonne of spare time on their hands. 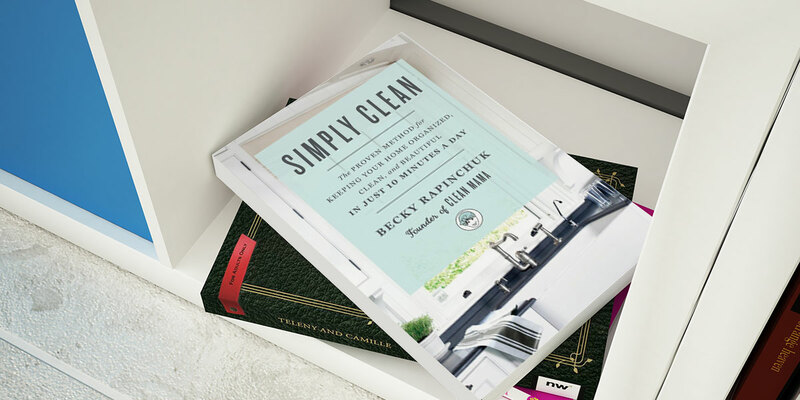 Rapinchuk’s tips help to embed healthy habits that keep your home clutter-free and squeaky clean with minimal effort. Rapinchuk is also the face behind Clean Mama where she posts excellent resources to support your cleaning and decluttering regimen! Simply Clean is available on Amazon for £11.71 on paperback and £8.99 for the Kindle Edition. 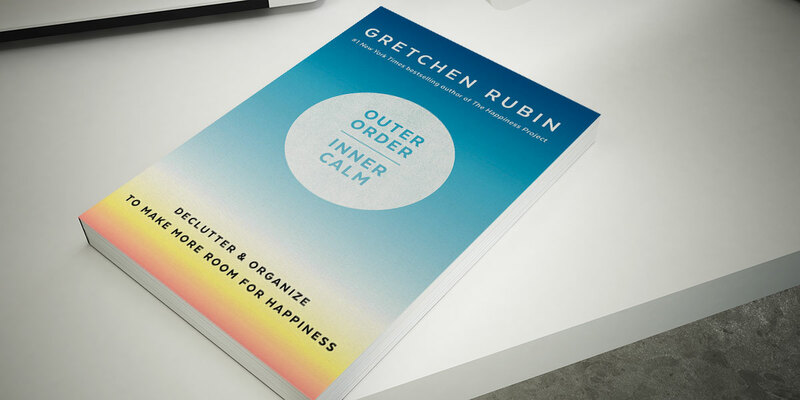 #1 New York Times bestselling author Gretchen Rubin explored the idea of personal happiness and realised that at the core of everything, achieving a sense of inner calm is influenced by achieving outer order. Rubin suggests that having control over your belongings can signal having greater control of your life in general. This feeling of power allows a wave of serenity to wash over us. Her book, Outer Order, Inner Calm, is packed with over 120 ideas to help you declutter which can all be tailored to the individual. She recognises that there’s no one-size-fits-all approach to simplify your life so you can pick and choose what works best for you. If you’re interested in listening to Rubin’s “Happiness Podcast”, you can visit her website. You can purchase Outer Order, Inner Calm on Amazon from £7.94 for hardcover. Feng shui and clutter-clearing consultant Karen Kingston believes clutter is “stuck energy” and that has a hugely negative effect on us—physically, mentally, and emotionally. Kingston’s book will help you evaluate how clutter affects the energy in your home and how best to actually declutter your home. 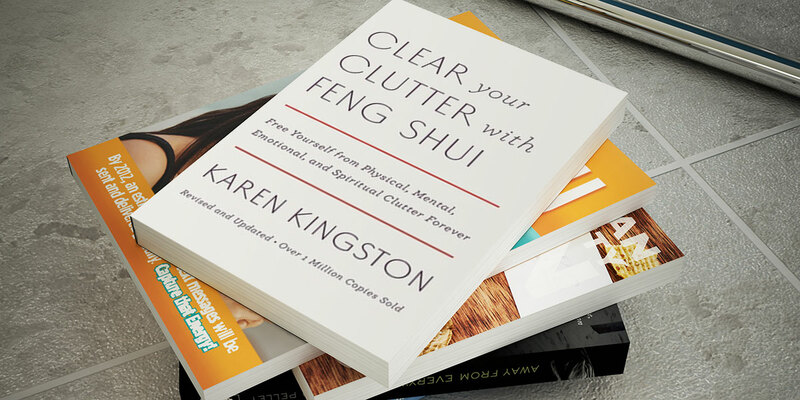 We recently caught up with Kingston to discuss her motivations for writing Clear Your Clutter with Feng Shui. Visit Karen Kingston’s website to keep up-to-date with her latest books, blog posts, and online courses. You can purchase Clear Your Clutter with Feng Shui on Amazon. While it might not feel like it, the decluttering movement didn’t actually start with Marie Kondo. In the mid-1980s, Schoefield was just finding her feet as a parent. She had three kids under the age of four and felt overwhelmed, discouraged and out of control. So she decided to make some changes. Schofield has filled her book with tips for organising toys and games, kitchen drawers, craft cupboards, and important documents. Mesh them all together and you’ll feel fully in the driver’s seat, allowing you to pull yourself out of the vicious circle of dealing with a cluttered home. After putting her tips into practice, Schofield realised there was a noticeable change in the atmosphere of her home. Take a look at her website to keep yourself in the loop about her books, products, and her blog. You can purchase her book on Amazon here. 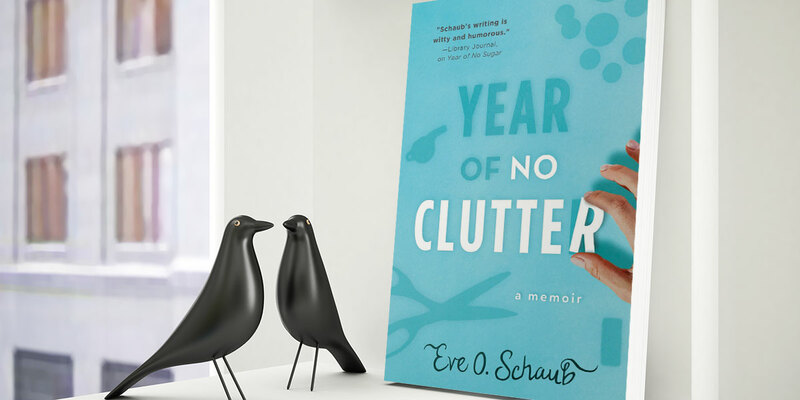 Year of No Clutter is a fantastic memoir following Schaub’s own journey from mess to clutter-freedom, tackling what she refers to as the “Hell Room”. The Hell Room—the room in your home where you toss anything that doesn’t have a place— was stuffed full of items that she rarely used but couldn’t part with. One day, she decided enough was enough, and she spent a year decluttering that very room. For Schaub, the most popular methods of decluttering didn’t work. She is what she calls a “keeper”, someone who is incredibly sentimental and has a real fear of regret and waste. Schaub’s advice helps fellow keepers understand and then separate the connection we make between our possessions and our self-identity. We can still hold on to various aspects of our personality without hanging onto old school jotters or tatty teddy bears! The “Year of No Clutter” blog on Eve Schaub’s website is a great resource. And you can purchase her book on Amazon here. 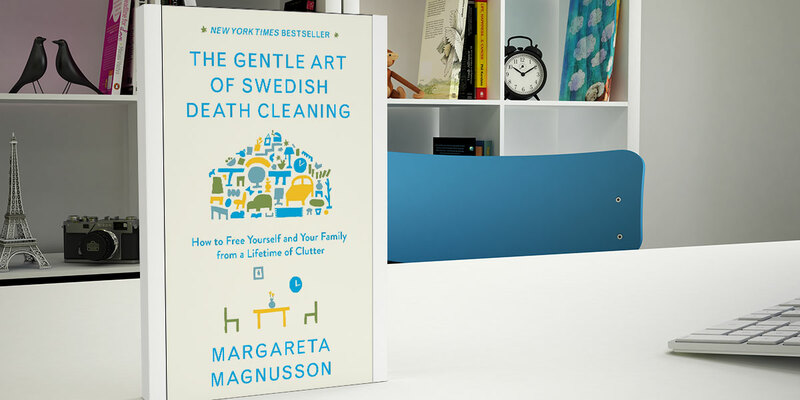 Swedish death cleaning—also called Dostadning in Swedish—is where elderly people declutter and organise their lives so that their final years can be free of stress and to relieve the burden on their loved ones once they have passed on. Despite its name, death cleaning is commonly used by younger people who need an excuse to declutter their homes. Magnusson is well-versed in the process of Swedish death cleaning and comes equipped with bags of wisdom. With the task of raising five of her own children, coordinating several moves abroad, and through years of experience of selling her artistic works, she has moulded herself to part with possessions with ease. Unlike other methods of decluttering, Dostadning doesn’t need to be done in one go. It can be done over the course of many years. If it sounds up your street, you can purchase it on Amazon for £8.70 on Hardcover or £7.12 for the Kindle Edition. Clear out all your things and adopt minimalist living! That’s the key to decluttering, according to Francine Jay. Jay’s book is a refreshingly simple and lighthearted approach to simplifying your life. It’s split into four sections, firstly discussing the benefits of paring down your possessions. Jay then presents ten decluttering steps. 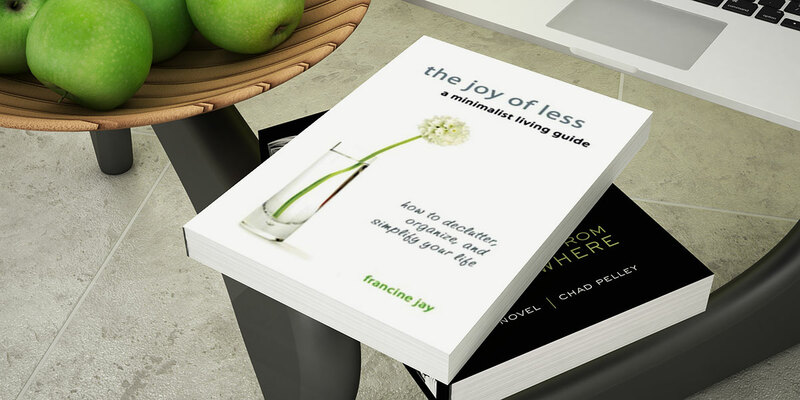 She finishes by talking about the impact of minimalism on your schedule and the planet. Jay wants to contest the restrictive associations people have of minimalism. She demonstrates the benefits it holds for everybody, especially if you’re struggling to cope under a pile of clutter. Check out Miss Minimalist for more insight from Jay and head to Amazon to purchase it on paperback or on the Kindle. Japanese cleaning consultant Marie Kondo has taken the Internet by storm recently. As the creator of the KonMari method, she is seen by many as the figurehead of the modern decluttering movement. Her book explores the KonMari method in great detail, encouraging readers to reevaluate their relationship with their belongings and keep only the items which spark joy in our lives. When you follow the KonMari method, you pull all your items in one category—say books or clothing—into a massive pile so you can see it in all its glory. The next step is to go through everything piece by piece, asking yourself the question, “Does this item bring me joy?” If the answer is no, Kondo recommends getting rid of whatever it is you’re holding. Kondo has fantastic tips for organising your drawers and cupboards once you’ve condensed your belongings. She is a big fan of sorting miscellaneous items into small boxes so you can see the contents at a glance. Her clothes folding technique has also garnered a lot of attention. Rather than folding and stacking items, she folds them so they stand upright, allowing you to see all your t-shirts, jumpers or jeans at once when you open your drawer. 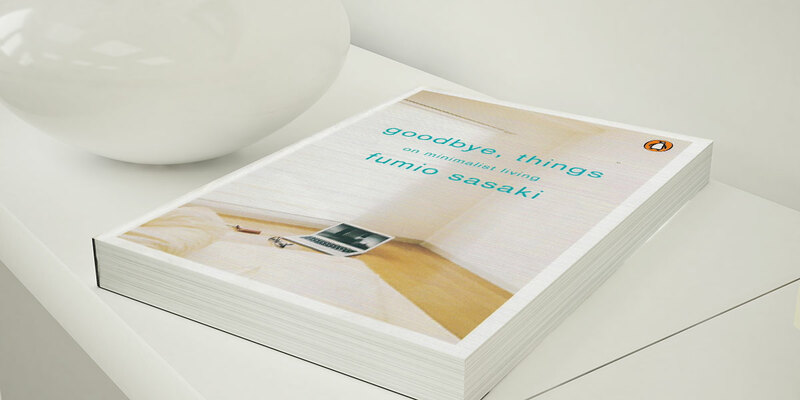 If you like Marie Kondo, you’ll love Fumio Sasaki. Unlike Kondo, Sasaki isn’t an organisation professional. He’s just an ordinary man who discovered minimalism after deciding he wasn’t going to put up with the stress and frustration of comparing himself to others. Sasaki said that he once knew nothing about minimalism. All that he could find from a quick Google search were images of people travelling with a single rucksack. Whilst these people led lives vastly different to his own, the idea of lightness and freedom that comes with minimalism really resonated with him. He led an unhealthy lifestyle and lived in a constant, cluttered mess, and he felt the weight of it throughout his entire day. He decided to become a minimalist. It took Sasaki about a year to declutter. He now lives with fewer than 150 items and his cleaning regime takes only 2 minutes! Sasaki is certainly more extreme than the others in this roundup. He believes that a minimalist is someone who only possesses the bare essentials to live, rather than keeping things for decorative or nostalgic purposes. In essence, by following his ethos, you need to imagine whether you could comfortably survive without an item. If you can, let it go. Sasaki’s approach isn’t practical for everyone, but it’s a great read. You can find it on Amazon here. These decluttering books will help you to tackle real-life problems contributing to the build-up of clutter in your home. By rethinking your relationship with material possessions, you can stop yourself from buying so much stuff in the first place and keep a clean and clutter-free home for the years to come. Are you feeling inspired? We’re on hand to keep hold of your possessions to free up space while you go through your decluttering process! Contact us today to see what we can do for you.